We lived in the Bronx initially, and I could rock with anybody. I played football and baseball but I could also double-dutch. Nobody could touch me on my pop-ups! I was the kid who was into everything. I learned to cook early because when I was not outside, I was in the kitchen watching my mom throw down. My dad served in the Vietnam War, and like many servicemen, he was exposed to the toxin Agent Orange. It was in between one of his tours that my sister was conceived and born with a rare disease. While not fully understanding the gravity of everything, I do remember her being in and out of hospitals and the sense of helplessness I felt inside and saw in my parents. Our beacons of hope were the doctors-looking to them for answers to heal her, so it makes sense that I wanted to be a doctor as well after being confronted with mortality at such an early age. I knew my calling was to heal the world and that I was going to be a doctor. After his military career was complete, my mom and dad began successful careers working in film and television-making me 2nd generation entertainment industry. I grew up in this business, so I have been around the arts my entire life. I lived in it but was never really connected to it at that time. I dabbled in acting because it was available to me, and at the age of thirteen, I started working in production as a PA., but still focused on one day applying to medical school. Around sixteen, however, that all changed and I emotionally felt lost. I questioned my place in the world, my purpose, my identity and above all the direction of my life. Initially, I thought it was a moment that would pass so I remained on track. I applied to Howard and Duke. I was accepted but come end of my senior year I still did not feel ready, so I spoke with my parents about it. Agreeing that it was not wise to incur debt when I was in a place of such indecision we agreed that I would take a gap year. During that time I convinced myself to follow in my father’s footsteps and enroll in the military. It was the quickest non-term ever. I swore in. I swore right back out (laughter). I may not have known exactly what I wanted to do professionally, but I was clear on one thing. I was nineteen years old, I was a man now, and a man provides for himself, so I started looking for a job. BRUCE PALTROW, yes father of Gwyneth, was a family friend. He and my mother worked together on a number of projects, so naturally, when the time came to take some exploratory meetings, I met with him, and that was a light switch moment. He was working on American Gothic at that time. My perception was that he was a guy who enjoyed what he did, and he had authority. That appealed to me. I looked at the work we were doing and realized that entertainment could heal people in a different way, so I started learning the ropes without realizing that one day it would place me in the director's chair or on stage accepting an Emmy Award. I recognize the Divine Order in my life and surrender it. I always leave the door of my evolution open for growth. My mother and father were always loving. We were a churching family; four of my uncles are ministers, yet that does not stop the outside world from intruding. You grow up in this world that makes you feel like trash if you flex on who you really are and what you feel inside, so you compress that—lock it away. I have known my entire life that I was gay, but never even looked at myself in that way until I was nineteen. It was always there, the curiosity. I prayed about it, pushed it away and then I would focus my thoughts on what I felt was the norm in life; having a family, find some security-the American Dream. That was the template I was looking to follow. Independent of the fact that I did not grow up in a household where I was ever made to feel other than, society kept giving me all of the cues that made me think that I was unacceptable, that something was wrong with me for having these feelings. Was I personally challenged with coming to terms with who I am and accepting me within the context of my faith and being a God loving and believing man? Absolutely. I constantly used to question God and pray not to feel as I did. ‘Lord if this is not of you, and genuine to me, please remove it from me,’ but it never went away. I could no longer deny that I had felt it since I could form a word, but I did not know how to speak on it. It is not a choice! Why would someone want to be something that brings them ridicule, violence and potentially death? Brooklyn 2000, I am about to celebrate my 25th birthday. My girlfriend, an actress, was away filming on location. She called one night to tell me that she met a young lady and had feelings for her. I took that as a sign, as my moment of transition to my authentic life which meant telling my family. Of all people, it was the approval of my mother that I desired most. I needed to know that she would still love me, but I was also prepared for the possibility of that not being the case. By that point in my life, I was so tired, mentally and emotionally fatigued with pretending to be someone that I was not, that I was prepared to cut everyone off who could not accept my truth. I just wanted to be free. No more hiding, not more praying and denying. That was the feeling. The courage to follow through would take a bit longer (laughter). Thanksgiving holiday, 2002, I drive down from Brooklyn to pick up my brother in Virginia and then onto our parent’s home in Wilmington. I was so nervous, sweating like crazy so I turn to my brother and confess to him that I need to tell mommy that I am gay. He bursts out laughing like ‘what are you talking about, we already knew that.’ I heard the words, but I was not convinced. I needed to hear myself say it and know that I was still loved—that she still loved me. Day One, I was sweating like crazy as we entered the house and I thought I was going to pass out. I can’t do it. Day Two and Three, I am still uncertain. Day Four, we are packing up the car to leave, and I realize that if I don’t now, then I never would. All I remember is running into the house and blurting it out as fast as I could, ‘Mommy I am gay, I hope that you still love me,' and then I just stood there frozen. I did not know what to expect. I thought the worst was coming and braced myself for it. Instead, she pulled me close, held me as tight as she could and said, ‘You are only who God made you to be.’ That was it, she clipped my wings. I was free. When I finally got to that place in my life to own my confidence, own my sexuality and be who I really was, I was like why did I wait so long. That was the moment the world opened up for me. Our first season was also in 2002 and was it ever at the right time. At that point in my life, I had accepted who I was, but I was not out. I was still vulnerable in the sense of needing the right influences and the right things to help me to continue stepping into my personal truth and not in isolation. Growing up, I never saw myself so the journey of being comfortable in my skin now as this black gay man was and continues to be an intense study and application. Personally, to have a show-family that looked like me, who accepted me, was major. Professionally, I could not have asked for a better support system than the team DAVID SIMON built around this show. They gave me the runway to grow from the managerial role of AD to being a creative as a Director. So many dimensions of the American Black Male experience were represented in this show from politics to the streets. There was an interesting connection and commonality at the same time that I was able to witness because of who the individual actors were; WOOD HARRIS, IDRIS ELBA, MICHAEL K. WILLIAMS, ANDRE ROYO, WENDELL PIERCE, LANCE REDDICK. We all cared about this show from the beginning, it was never just a paycheck, although it was good to have a steady stream. We knew the material was great, and whether through transparency or the ability of sharing we all supported each other. There was a brotherhood there that was very comfortable. Of course, my situation being as it was, OMAR played by Michael K., was my favorite character. Here this character is out here being confident and he’s got a dude with him, and sticking everybody up! He is running these streets! He helped me build my confidence. 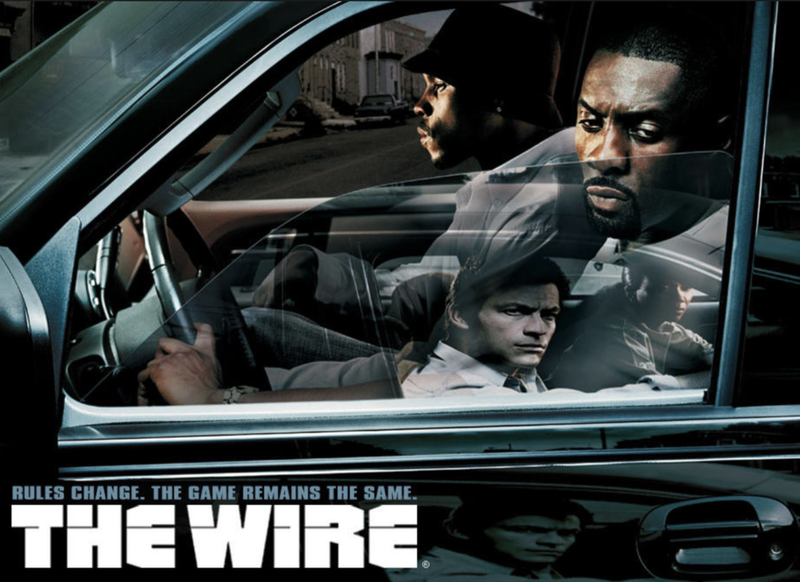 At its core, The Wire was really about the human condition, and that thematically is what I try to have as the throughline in every show that I do, and if it’s not, I try to bring it in. After my directorial debut on The Wire, I began to get a lot of unsolicited advice to move out west, to LA, and I did not like it. Aside from the fact that I was still working on The Wire and committed to ADing the current season, I just didn't like LA. Several years prior I had visited, and it left me with an unpleasant feeling, in the sense that I felt alone and that so much of the interactions with people was surface, so the thought of moving there was unwelcomed. As a compromise, I agreed to go there for a round of meetings, sure that nothing substantive would come from them. I return to LA and immediately after wrapping that episode of CSI, I make the decision to move. Now I am in the Bruckheimer wheelhouse, and they want me to direct across the other shows helmed by the company. I called the agent, SCOTT SEIDEL, who I felt strongest about from the initial visit and sign with him. We still work together to this day. From that moment on everything that others had told me would take 2 years to accomplish, I am doing. Here I am within a month of being in LA, and I am slated to do 9 episodes of top-rated primetime shows for the coming year. I look back at that, and for real, I lean in. My life is an absolute testimony to God. He rocks with me every day. That is not to say that there have not been challenges, because there have. Definitely at the top, all those -isms that they leave in the air when I come into the room, or when they look at my body of work and how I have done it through hard work and built solid relationships. Greater is he that is in me than he that is in this world. Learn and lean on others but be confident in who you are. I am a soldier in this army to affect change. I am blessed to do it as a director. I know what my calling is and I have come to realize that this is my purpose and give myself to it wholeheartedly. I can see the lives that I have affected by way of who I hire, in front of the camera and behind, the messages in the television shows I create and work on, and how they reverberate in the world. It does, however, come at a cost whether it is mental, physical or emotional, and that is something I am actively working on addressing, especially in my personal relationship because I know what has happened before. I am a Libra, so it is ironic that balance is a trait that is attributed to me, yet that it the very thing (the balance of time) that has become my greatest learning curve to love and my relationships. When I was younger, the demands and responsibilities were so much lighter, so everything felt easier to manage until they didn't. Thankfully, I now have a partner, correction a fiancé, with great understanding and purpose about him. Early on in our relationship, Steven and I made the decision that our family is first, so there is no room for neglect as a result of external forces. In the last few years, since we have been together, I have really focused on recalibrating and prioritizing all. We communicate very well, and there is an ease. 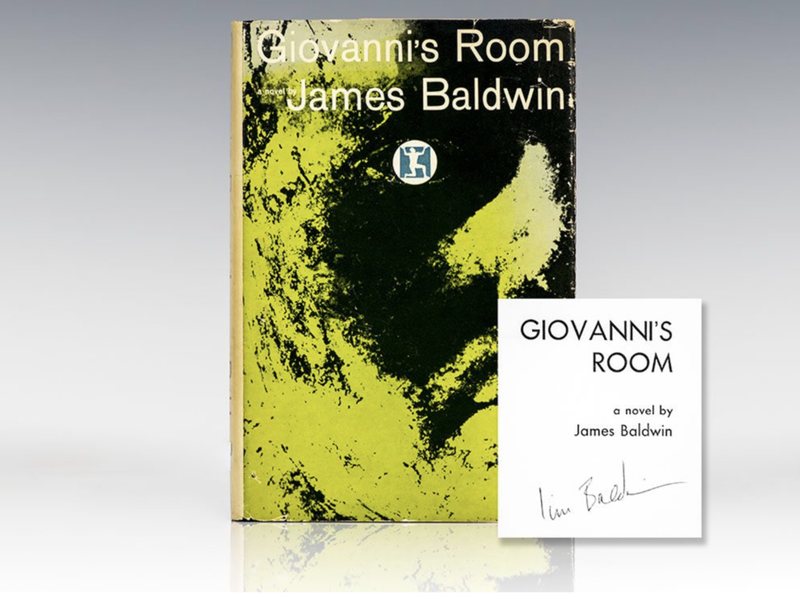 Giovanni’s Room by JAMES BALDWIN. This book was a revelation. A story about a black gay man living in Paris, written by a black gay man from Harlem living in France. Is My Living In Vein by THE CLARK SISTERS. This is a constant reminder to me living a meaningful life—one where I give more than I take. Finesse by BRUNO MARS and CARDI B. This song makes me so happy. Let It Burn by JAZMINE SULLIVAN. This song right here touched me to my soul. Heroic Entertainment – is my philanthropic foundation. As my career grows now with the launch of Anthony Hemingway Productions and a full slate of film and television projects in various stages of development, Heroic provides me an ability impact in a different way. We can focus on the issues that I care about and support them without the challenge of the business r.o.i. I share that to say that there will be some cross pollination, but the driver is always how do we contribute to this world's issues. Our Cause Pillars: homelessness, mental health, HIV AIDS, and Cancer. My oils of secret potion. I love smelling good. It's a secret potion that I have used since high school.